Neck pain turning head is a typical trigger mechanism for cervical symptoms to begin or worsen. So many patients suffer onset or exacerbation of pain when they turn their head to one side or the other. There are many possible reasons for a patient to experience pain upon neck rotation. Some of these explanations might be caused by spinal motivators, while others might be the result of muscular syndromes. In other circumstances, there may be no structural reasons for the symptoms to begin, but instead, the pain might commence due to a mindbody concern, such as in the case of a chronic disorder enacted by a psychogenic neck pain syndrome. This essay delves into the common symptomology of pain that is experienced upon turning the head. We will investigate the potential causes of the problem, as well as develop some effective strategies for successful treatment. When we are discussing pain that is elicited upon turning the head, we are describing rotation of the head from side to side, keeping the chin at the same height. Pain can be sharp, radiating, dull or burning. Symptoms usually begin about halfway through the head turn and escalate as the head reaches its final rotated point. Range of motion is often drastically reduced, especially towards the painful side. In most cases, the range of movement is only reduced due to the expression of pain and not due to any structural barriers that prevent motion. Patient might experience dizziness or vertigo upon rotation of the head. Patient might express cracking sounds in the neck or clicking noises heard from within the spine. These noises are typically meaningless and not pathological in any way. Patient might feel accumulated heat in one side or both sides of the neck, particularly upon holding the head in a rotated position for an extended length of time, such as when reclining. Patient might experience neurological symptoms that radiate into the shoulder, arm or hand, when nearing full rotation to the symptomatic side. Intervertebral disc pathologies might place pressure on spinal nerves, or the central spinal cord, when they are moved in particular ways. This is usually demonstrated by large focal posterolateral protrusions that are already effacing neurological tissues and suffer increased pressure when the neck is rotated. 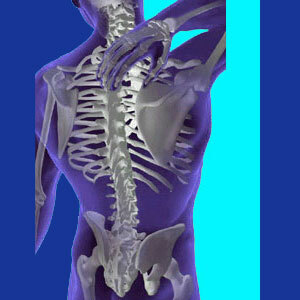 Spinal arthritis processes might also clamp down on particular neurological tissues when the neck is turned. This typically occurs when these normal signs of aging have already reached extreme degrees in select areas of the cervical spinal anatomy and are exacerbated by movement in a specific direction. Spinal curvatures that reside in the neck are rare, but might suffer intensification of symptoms when the neck is rotated. Cervical spondylolisthesis expressions can sometimes worsen when the neck is turned one way or both. Spinal joint degeneration, such as cervical facet joint syndrome, might flare-up upon rotation of the neck and head. This is usually caused by mechanical pain, wherein vertebral surfaces rub against each other, but may also be due to neurological pain, wherein small nerves become trapped in between moving parts of the joint. Pain upon neck rotation may also come about due to muscular, tendon and ligamentous concerns in the greater anatomy of the neck region. In fact, most cases of rotational neck pain are due to minor muscular injuries, chronic muscular tension or mindbody ischemia of the muscular tissues. Patients who perceive a commonly reported tight feeling upon turning the head are usually suffering from muscular pain mechanisms. Typically, the patient will have a tense feeling all the time, particular stiffness upon movement, and acute pain as the head is turned further. This type of pain is often the result of neck strain, which denotes small traumas to the soft tissues. Ongoing chronic pain from turning the head can be enacted by lasting oxygen deprivation of the neck muscles. This scenario can cause general pain all the time and heightened symptoms upon rotation to one or both directions. It is very common for patients with muscular rotational pain to experience symptoms that radiate into the same shoulder or arm. It is also common for these patients to experience tension-type headaches from repeated turning of the head. In the vast majority of cases, rotational neck pain will resolve completely by itself, in a matter of 2 to 5 days time. Significant muscular injury might take as long as 2 to 3 weeks to thoroughly feel better. In virtually every instance of muscular rotational pain, treatment is not needed, although some minor OTC pain relief or anti-inflammatory drugs might make the patient more comfortable. Acupuncture, chiropractic, heat or ice applications might also be beneficial for many patients. Spinal causes of pain upon turning the neck are more complicated to diagnose and treat. Some of these expressions will resolve without therapy, despite the causative process still being present in the spine. Other scenarios will entail ongoing symptoms that might need to be addressed through proper medical treatment. Obviously, the type of therapy needed is completely dependent upon the exact nature of the spinal issue to be treated. For most patients, regardless of the cause of symptoms, minimizing neck movement will prevent acute pain. This recommendation is generally advised for the first day or two. When the tension starts to decrease, gentle and controlled movement of the neck might help to speed up the final phases of recovery and bring the patient back to full range of motion in no time. For chronic or severe pain scenarios, please consult with your doctor for specific advice on diagnosis and treatment.